Another decade is drawing to a close. What have been the defining features of the so-called Noughties? Readers of the BBC Magazine were invited to submit their suggestions as to who and what has shaped the last ten years. The results have now been published and are divided into five categories: words, people, news, objects and culture. New words and phrases were coined and entered common parlance such as carbon footprint, chav, War on Terror and sustainability. Tony Blair, Norman Foster, Bill Gates and Barack Obama have made their mark in different ways. The Indian Ocean tsunami, Iraq War, Human Genome project and London bombings all made the headlines. Hoodies, SatNavs, wheelie bins and Oystercards were some of the objects that came into everyday use. Google, Blogs, Facebook and Tweets changed the way we interact with one another. 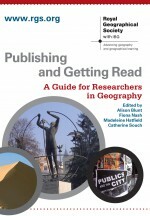 These changes in culture, society and politics have all provided new material for geographers. If someone from ten or twenty years ago looked at today’s list of geography journal articles, they would not recognise much of the subject matter or be able to understand the language. This is all evidence of a thriving discipline, which is keen to analyse the geographical dimensions of the contemporary world. This entry was posted in Uncategorized and tagged Cultural Geography, Culture, geography, Global Issues, politics, Social Geography, society on December 16, 2009 by jclunn.